There are calls for KiwiSaver to play a greater role in preventing New Zealanders from being kneecapped by expensive debt. The Commission for Financial Capability’s (CFFC) education manager, David Boyle, wants KiwiSaver members to be able put money aside for an emergency, as well as for retirement or a first home. He wants members to have the choice of putting a certain amount of money in a cash fund with their KiwiSaver provider, which they can draw on if they deem necessary. The idea is this would prevent people taking out expensive loans or withdrawing all their KiwiSaver savings under the hardship exemption if they run into financial difficulty. It would also give those concerned about not being able to afford being in KiwiSaver a buffer, should they need cash. Around 44% of those surveyed by the CFFC can't access more than a month’s income from their savings. Boyle, who used to be ANZ Wealth’s funds management general manager, but now works for a taxpayer funded organisation that operates independently from the government, says the infrastructure for making such a scheme work is already there. What’s more, he believes it could be done without an overhaul of the law. 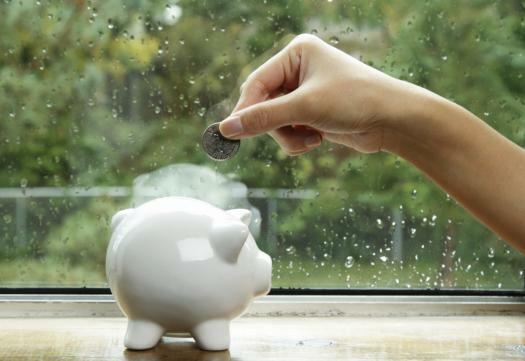 He proposes any rainy day contributions be collected just like regular KiwiSaver contributions by the Inland Revenue Department (IRD), before being passed on to members’ KiwiSaver providers. Enabling providers to collect contributions from a single source should keep costs down. From there, providers would put the contributions into a cash type of fund. While most providers already have such funds, Boyle admits some would have to create them. He accepts that while the “rainy day fund” isn’t legislated, providers wouldn’t be forced to do so, yet his hope is that competition encourages them to. Once a KiwiSaver member’s rainy day fund hits a certain level, contributions would be directed into their regular KiwiSaver fund. When a withdrawal is made, future contributions would get diverted back to the rainy day fund until it's full. Boyle admits that while the concept has been on his mind for some time, the detail would have to be fleshed out. He isn’t clear on whether the rainy day fund threshold would be set at a dollar amount (IE $5,000), or a value equivalent to a certain portion of a member’s income. He says the fund should be capital protected, in that whatever is in it doesn’t reduce in value. He notes 30, 60, or 90-day bank bills for example aren’t going to change in price, but are fully liquid. Without bringing the rainy day fund idea under KiwiSaver legislation, Boyle admits that the only way to ensure providers don’t over-charge fees to members would be to get them to come to some sort of an agreement around fee levels. “We don’t want providers gouging the cash,” Boyle says. Once again, without coming under the KiwiSaver legislation, Boyle says members would be able to make withdrawals from the rainy day fund at their own discretion. Yet to discourage unnecessary withdrawals, he says providers would need to ensure it isn’t too easy for members to make withdrawals. For example, they shouldn’t be able to simply log in to their internet banking and transfer whatever cash they think they need. Once again, the details around this would have to be smoothed out. “The product would evolve if there’s a genuine interest,” Boyle says. He believes the extra layer of cost and complexity providers would incur by making a rainy day fund available would, at least to some extent, be offset by a reduction in members applying to make hardship withdrawals from their KiwiSaver accounts. He says hardship withdrawals have grown by 25% over the last year - and we aren’t even in an economic downturn. While Boyle is selling his idea to the industry - talking about it at the CFFC’s Summit on Tuesday for example - he also wants support from the Government. The reality is that those who could benefit the most from having a rainy day fund - perhaps people who don’t have much savings or are under-insured - need to be incentivised to go for it. “We have to sell it,” he says. Boyle hopes the Government is open to exploring ideas like making contributions to a rainy day fund tax free. He is also keen for new KiwiSaver members to automatically be enrolled into a rainy day fund, which they could top up before starting to save for their retirement. The rainy day fund concept isn’t one the Government has explicitly talked about, however people vulnerable to spiralling into debt are front of mind for Commerce and Consumer Affairs Minister Kris Faafoi. He is currently considering capping third tier lenders’ interest rates and is looking at credit card interest rates as a part of his review of the Credit Contracts and Consumer Finance Act.